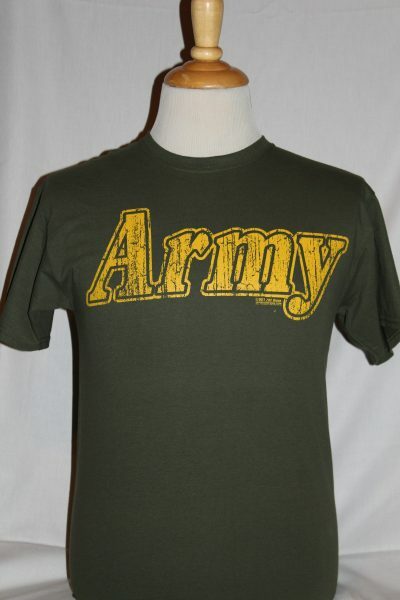 The "Army Retro" Shirt is a two sided print in the color military green. Front Design: Text "Army " in yellow. Back Design: Same as the front design, but on upper back.